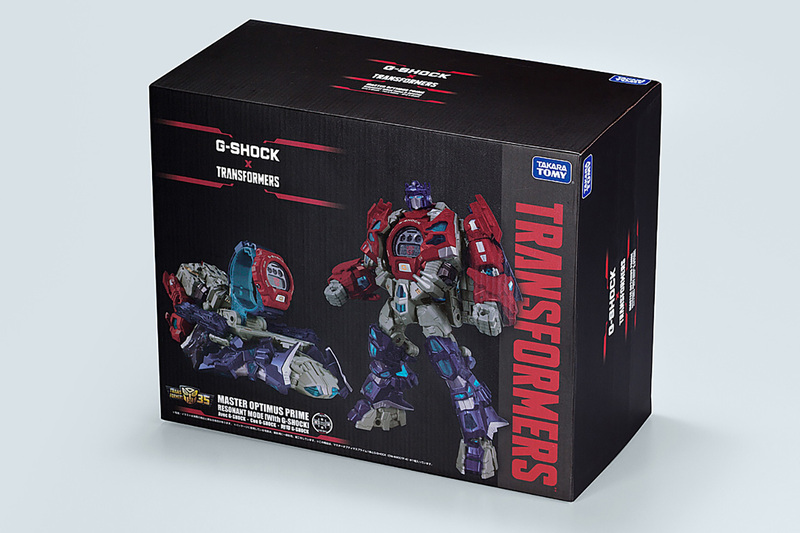 Casio Computer Co., Ltd. announced the release of a new collaboration model, bringing together the G-SHOCK brand of shock-resistant watches and the globally popular TRANSFORMERS franchise of transforming robots. 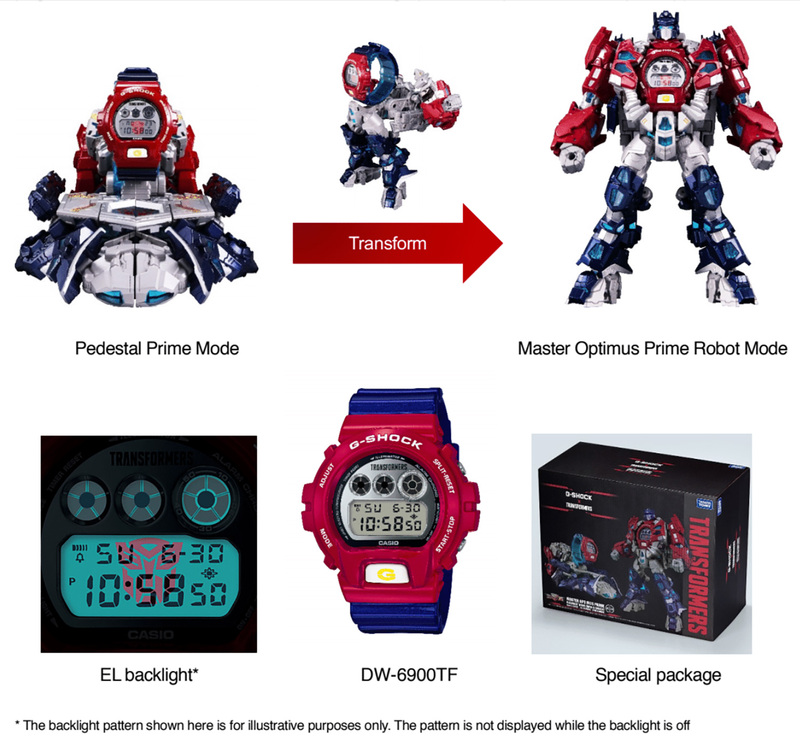 The new DW-6900TF-SET includes a G-SHOCK watch and a TRANSFORMER figurine that transforms from a robot to a pedestal for the watch, and back again. 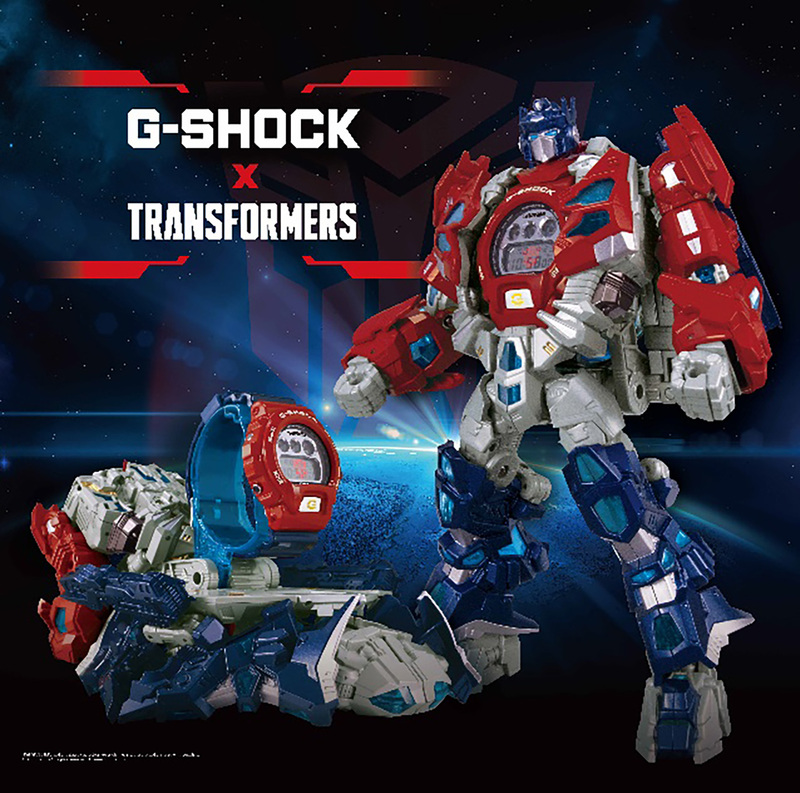 The collaboration between G-SHOCK and TRANSFORMERS unites two global brands that embodies strength and toughness at all times, and celebrates the 35th anniversaries of both brands. 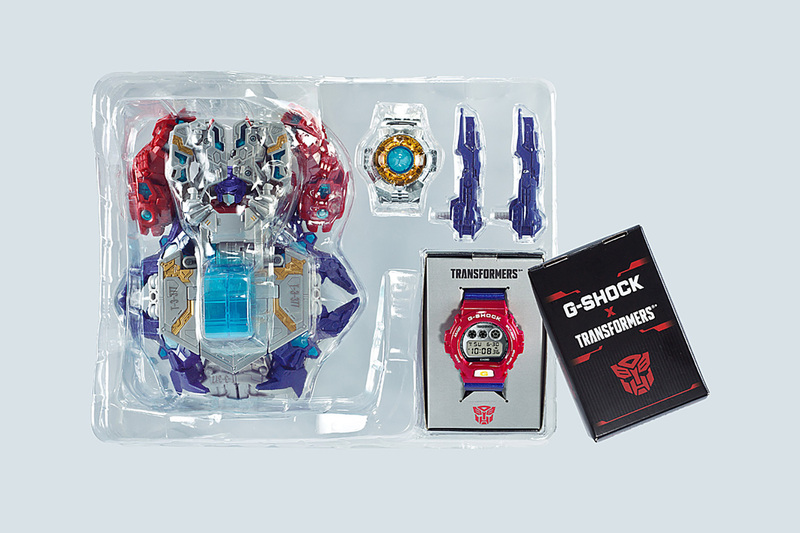 The set gives users a tangible product they can hold in their hand, in the form of a special TRANSFORMER robot known as Master Optimus Prime Resonant Mode and a G-SHOCK watch in ubiquitous DW-6900TF model in matching red and blue. 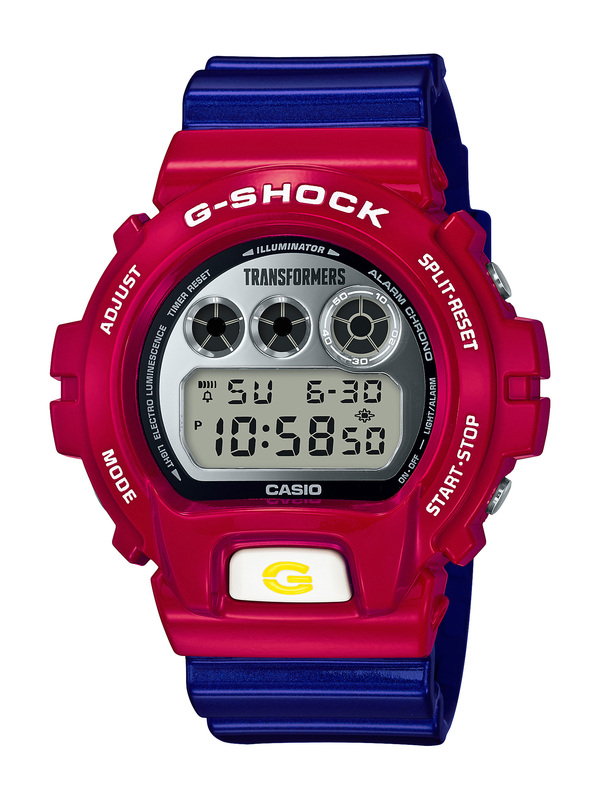 The special robot included in the DW-6900TF-SET integrates a G-SHOCK watch into its chest and transforms back and forth between Master Optimus Prime Robot Mode, a standing robot figurine, and Pedestal Mode, which displays the G-SHOCK watch. Turning on the EL backlight produces the Autobot symbol from the camp of righteousness and justice to which Master Optimus Prime belongs. The special model is also housed in a custom packaging. This highly anticipated limited-edition collectible will be retailed at all G-FACTORY outlets come December 2018. Follow @gshock_sg on Instagram and G-SHOCK Singapore’s Facebook page for the arrival announcement of these highly coveted pieces. Price upon application.